Infront Systems has unveiled plans to capitalise on the government’s launch of its cloud-first strategy and IT procurement reform initiatives, through the availability of Innovation Exchange. Operating as a management framework, the offering is designed to enable the continuous delivery of digital services across the mix of private and public clouds. 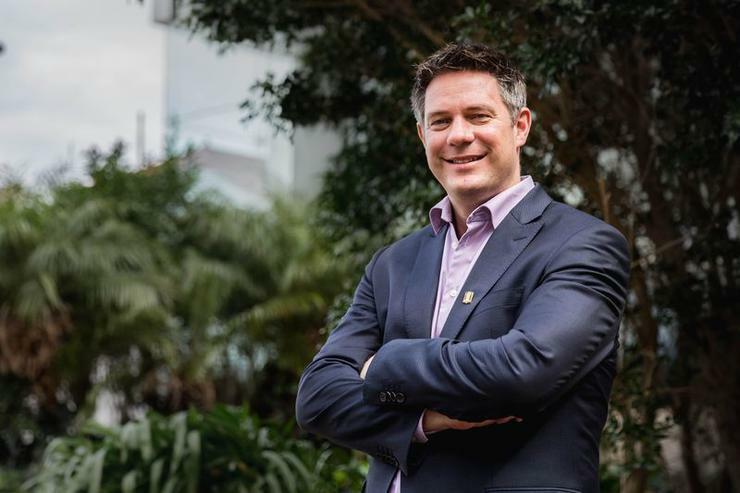 The move follows the announcement by Assistant Minister responsible for Digital Transformation, Hon Angus Taylor, around focusing on building small to medium enterprise (SME) capability and applying appropriate governance models when agencies procure new ICT capabilities. As reported by ARN, Taylor revealed new procurement reforms in August that see IT contracts capped at $100 million. Furthermore, the procurement changes also see a pledge by the government to inject an additional $650 million annually into local tech companies that fall into the SME category. Broadly speaking, the new stance is aimed at giving smaller suppliers a leg up when competing for lucrative public sector contracts, potentially leveling a playing field heavily dominated by top tier suppliers such as IBM, Hewlett Packard Enterprise (HPE) and Dell EMC. “Infront has invested four years in developing the Innovation Exchange to address a broad range of challenges associated with consuming cloud computing services, whilst providing the agency a single view of its multi cloud operations,” Infront managing director Allan King told ARN. King said agencies, in planning for and consuming cloud in a hybrid cloud operating environment, must address the complexities of adopting a hybrid cloud model including identity management, data disaggregation and the differing ‘as-a-service’ financial structures of multiple cloud vendors. “Our clients know that they need to have a cloud-first policy and a strategy to get there but they are struggling to manage the cultural and operational changes required to make the transition,” King added. King also acknowledged the work the Digital Transformation Agency has undertaken in driving the government’s cloud agenda, an agenda local partners such as Infront intend to capitalise on. In backing the Reform to IT Procurement announcement - unveiled on 23 August - King said the move will lead to “significant innovation and operational benefits” to agencies through providing SME providers the opportunity to bid for components of large projects. As reported by ARN, the new reforms came about as a result of recommendations from the ICT Procurement Taskforce report. The Government’s ICT Procurement Taskforce initiative, the details of which were revealed last year, is aimed at helping to overhaul the way the country spends its $9 billion-plus annual IT investment dollars. Specifically, the report covers issues such as developing ICT-specific procurement principles, building strategic partnerships, data-driven reporting, enhancing the Australian Public Service’s procurement skills, and new procurement methods. In heading a local SME guiding public and private sector customers on the journey from hosted ICT infrastructure environments to the cloud, King said the report has “correctly identified” that this transition requires policy framework. “The Taskforce Report shines light on the barriers to government innovation including how agencies can successfully manage its transition to the cloud,” he said. “We believe that cloud first is the right strategy but agencies need to be able to carefully manage the process, otherwise agencies will blow their budgets and be unable to manage outcomes.